Deputy Prime Minister Nick Clegg has accused Nigel Farage of trying to “make political points” following the terror attack on the French satirical magazine Charlie Hebdo, in which 12 people were killed. 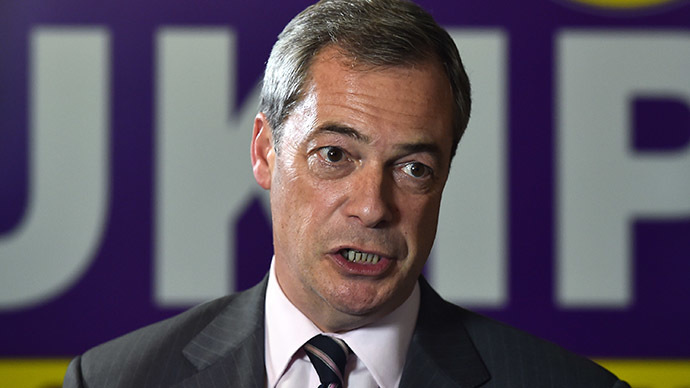 UK Independence Party (UKIP) leader Farage had criticized multiculturalism following the assault on Charlie Hebdo, saying the attack was the result of “having a fifth column” living in Western countries opposed to their ideals. Deputy Prime Minister Clegg slammed Farage’s remarks. “His first reflex is to make political points,” Clegg told LBC Radio listeners. David Cameron also criticized Farage for his remarks, saying it was wrong to make political arguments so soon after the “appalling events” in Paris. “With the appalling events in Paris still so fresh in people’s minds and with people still struggling for their lives who have been injured, I think today is not the day to make political remarks or political arguments,” he said at an event in Manchester.